Last night at the Castro, the San Francisco International Film Festival honored Richard Linklater with their Founder’s Directing Award. The event included a discussion between Linklater and actor Parker Posey, followed by a screening of Linklater’s new film, Boyhood. When I arrived, more than an hour before the show, the line was already around the block. Once inside, the theater was crowded, and the line for the concession stand snaked around half of the lobby. Amazingly, considering the crowd, the show started almost on time. Director of Programming Rachel Rosen came on stage and talked briefly about Linklater, pointing out that his first film, Slacker, played at SFIFF. She told the audience that he had founded the Austin Film Society. Then we got the clip reel–a few minutes of quick scenes from Linklater’s work. These are always fun if kept brief, and this one was. Then Posey and Linklater can onstage for the discussion. They worked together on Dazed and Confused more than 20 years ago, and were clearly comfortable with each other. In fact, they seemed so relaxed that it felt more like two old friends goofing off than a real interview. It was entertaining, but pretty light on information. "Casting is like love at first site. I have a feeling of what it should be when I write the script, but I don’t know until I see it." On writing Dazed and Confused: "The music came first. I just listened to the music when I wrote it." On Waking Life: "I wanted you to be confused about if [what you see] is real or not." He called the Before… series "The accidental trilogy. It was never planned." On the future of cinema: "The industry doesn’t care. People are going to theaters less and less…Films cost so much to market, that studios have to think on terms of how many films we can release." I asked who was more important, the writer or the director (Linklater does both). "If you take yourself seriously as a writer, go with literature or theater. Filmmaking is a collaborative storytelling effort. The director is the guy rubbing the bottle to get the genie out. " After the Q&A, there was a five-minute intermission. Then the movie started. Fifty years from nowpeople will still be watching Linklater’s intimate epic. Shot off and on over a period of 12 years, Boyhood allows us to watch young Mason and his family grow up. It isn’t an easy childhood. His parents are divorced, neither of them have much money, Dad is immature and Mom has bad taste in men. 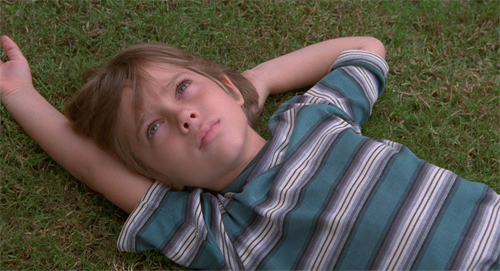 But Boyhood avoids the sort of horrible situations that drive most narrative films. It’s all the better for that. 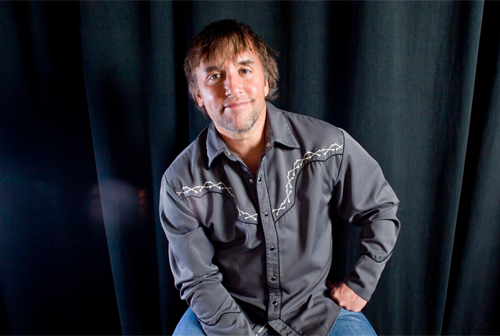 By using the same actors over such a long period of time, Linklater creates a far more realistic picture than could be done with aging makeup or switching from a child actor to an adult one. You really feel as if you’re watching these people grow. I give Boyhood an A. There was another Q&A after the movie. But by the time the movie ended, it was nearly 11:00, and I had to take BART back to the East Bay. So I had to skip the final part of the evening.